I used a curtain tension rod at the top to secure the puppet theatre within a doorway. I also added dowel rods above the stage and below it to frame the area. I picked up 2 of the cutest puppets from Melissa and Doug, these hand puppets are great quality! Come on over, grab a seat and let the show begin! Happy birthday to your adorable not-so-little guy! This is the cutest thing. You could sell these on Etsy for beaucoup bucks. 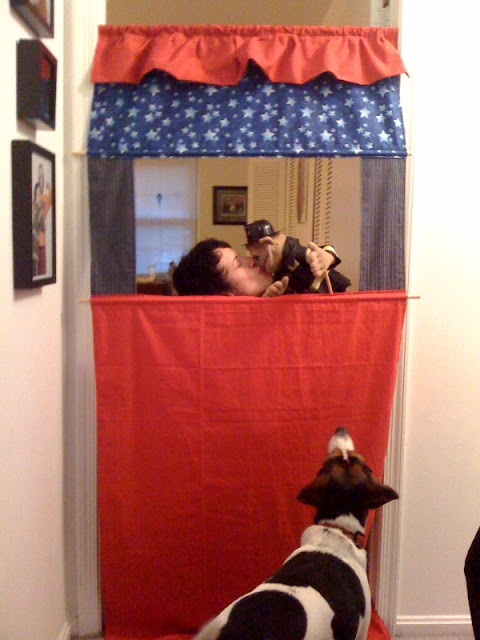 How fun, I always wanted a puppet theatre when I was a kid! LOVE THIS! I want to come to the performance! What an awesome gift! :) Best mom EVER! Also happy birthday to Zane and you have come up with another great one girl. Zane is lucky to have such a resourceful mom. I've been wanting something like this for the longest time. 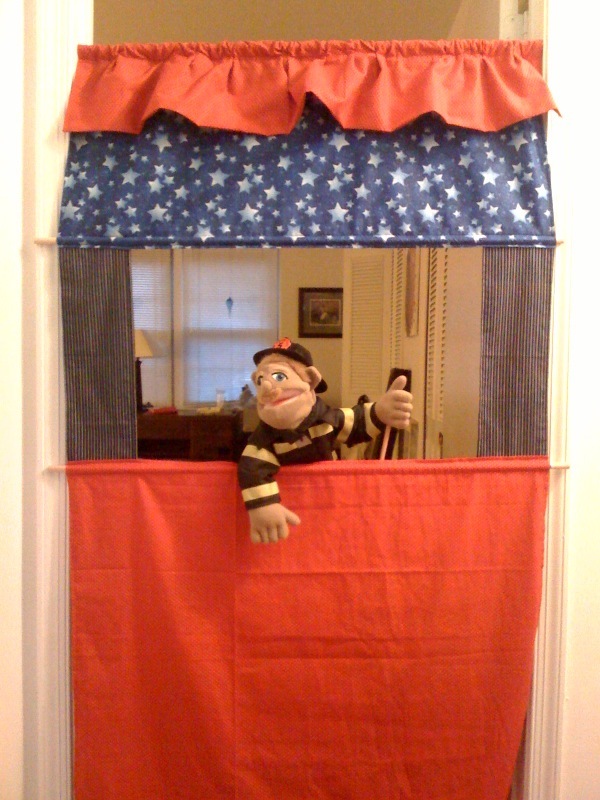 I've got a puppet stage but it is made from a huge box and space is always a constraint here. Can tip me in how to make this?